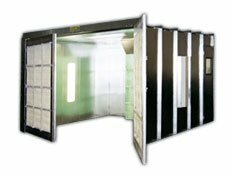 also known as cut-in booths or jamming booths, these are typically used for spray operations that need exhaust but ambient dirt, etc isnt such an issue. There's a size for every application - call us with any questions! Industrial booth with filtered doors . 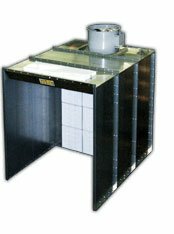 when the spray area needs to remain clean and filtered, this industrial booth will give you a protected spray area. The exhaust chamber on the rear wall will extract overspray and fumes. 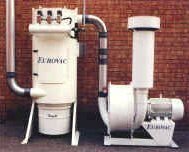 (can be engineered to team with a heated air makeup unit). The perfect tool for spraying small parts and pieces, instruments, models, ceramics, etc. 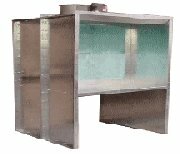 You can work in front of a 3' deep bench complete with fume and overspray extraction.